Nine drivers in Northern California are speaking out against what they say are shady practices by police departments who allegedly are targeting businesses while transporting cannabis and seizing their delivery and cash. North Coast Journal conducted an investigation of these cases and found a pattern of confiscations over the past three years without any charges ever being filed against the drivers. Each of the incidents allegedly occurred during traffic stops with local police officers, and some said they were not even in the jurisdiction of that department when the stops were made. 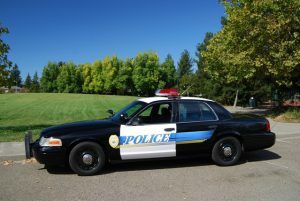 It is not unusual that officers would share duties with other departments near major highways, like Highway 101, to patrol those long stretches of road. It’s not even unusual that they would be intercepting illegal drug transports, as the department in question was part of joint efforts to go after cocaine, meth, opioids, ecstasy, and methamphetamines. Also on the list of targeted drugs, though, was marijuana, and drivers alleged officers showed no interest in whether or not drivers were in compliance with state and local laws. One driver described a briefcase full of all necessary paperwork he carried on his route in case he was pulled over, but it allegedly did not protect him, and the contents of his vehicle were confiscated.This is one of the many ways the gray area between state marijuana legalization and the federal ban really hurts residents. Police can still monitor cannabis activity under the premise that they are searching for illegal behavior at the state level, such as unlicensed businesses or transporting between states. Then, should they choose, police might still cite Controlled Substances Act, 21 U.S.C. Section 812, which classifies cannabis as a Schedule I narcotic. Or, as these drivers claim, police could simply never file a charge so you don’t get your day in court. The uncertainty of the rights of business owners in the face of federal law has left them vulnerable to unfair police practices. Cracking down on drug trafficking has its perks, including the ability of the local police departments and the district attorney to seize a cut of money confiscated during suspected crimes, a process known as civil asset forfeiture. Add in the fact that police know legitimate marijuana business owners are transporting sizable amounts of cannabis to delivery points, as well as cash, due to the fact that federal restrictions of marijuana make it impossible to use traditional banking, and you have a recipe for potential corruption. State and local laws surrounding marijuana were created specifically to protect those who chose to establish cannabis businesses in California. That’s why it’s essential you call on the experience of our skilled Los Angeles cannabis criminal defense lawyers should you find yourself in a run-in with police. It’s completely understandable that you would be confused facing up against law enforcement officers who are claiming you are in the wrong even when you have done your compliance due diligence. With a trusted cannabis attorney on your side, you will have a legal team with a tested understanding of all marijuana laws who will act as a strong advocate for you and your rights.